Adam and Anita feel as if they don’t belong. In fact, it was over that mutual feeling that they first met, at a New Year’s party in their late 20s. He’s from the country (his accent gives him away), and his big-city dreams of being a successful architect — or even better, a famous painter — seem to have a built-in handicap that can be traced back to his rural upbringing. Anita feels even further removed, caught somewhere between France and her family’s native Mauritius. An aspiring writer with dreams of both best-selling novels and front-page newspaper stories, Anita sees a kindred spirit in Adam; a “typical foreigner” meets a “typical provincial.” They sneak away from the celebration, detach from their friends, and fall in love. Waiting for Tomorrow is best when it is relatable, something Appanah effortlessly achieves. But, a second plot runs through the novella that is very specific to Adam and Anita’s story, one that will unfortunately alienate those readers caught swooning over Appanah’s empathetic prose. The novel opens with Adam in prison, and mentions a traumatic incident that took place four years previously. Appanah moves deliberately through Adam and Anita’s lives towards this event and introduces Adele, an instrumental new character. Anita meets Adele while on assignment, covering a Mauritian concert at a local bar. Adele is a presence: tall, fashionable, a pristinely shaved head, and a Mauritian, just like Anita. Anita is enamored by her story, but also by the quiet kindness with which they find they’re able to converse. Adele is even more of an outsider than Adam and Anita — she’s an immigrant without papers — but something about her feels like she belongs with them. Jumping ahead at another chapter break, Adele begins working as a nanny for Adam and Anita’s daughter, Laura. Adele’s presence is a godsend, and allows the parents to return to the artistic pursuits of their youth. Adam, who once prided himself on being “a man who paints” finally gets back into the studio and begins producing great work. Anita finally starts writing a novel. The trouble is that both Adam’s paintings and Anita’s novel are inspired directly by an unwitting Adele — the paintings, although abstract, are of her, and the novel is her story. Appanah introduces a finely nuanced thread here about cultural identity and appropriation. It’s remarkable to see two characters who once prided themselves on their outsiderness so consume an outsider of their own. It’s difficult to be happy for their creative streaks while witnessing them cannibalize the spirit of what once made them who they were. 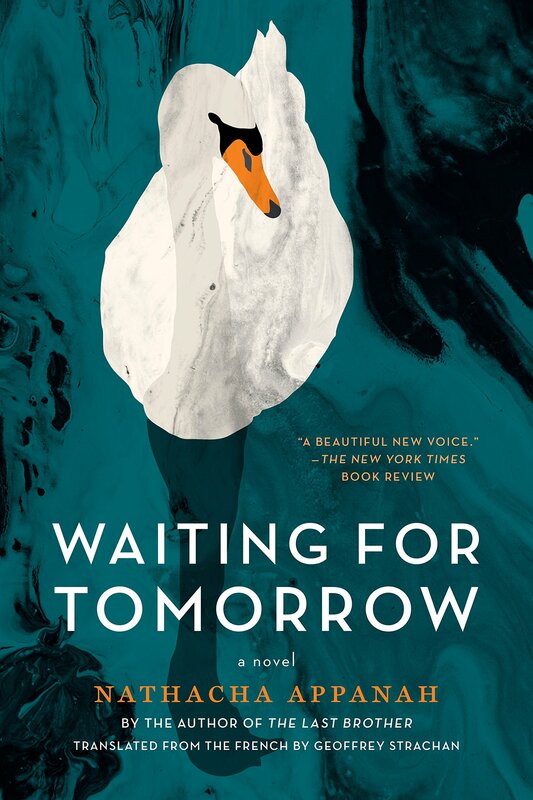 Zeroing in on the cultural elements of this novella loses sight of the hazy familiarity that made Adam and Anita such compelling characters with which to identify. The specificity of their conflicts (as well as a somewhat hackneyed high-drama final act) shifts the novella from an abstract painting into a portrait. Appanah has such a graceful way of rendering shared experiences like dreaming, aging, and falling in love, that parts of Waiting for Tomorrow feel like a story of all our lives. But she instead pivots into a story about two people, perhaps not us but a couple we could have met along the way. This spellbinding novella follows a couple for nearly twenty years, rendering familiar moments of growth and hardship with affecting and lyrical prose.